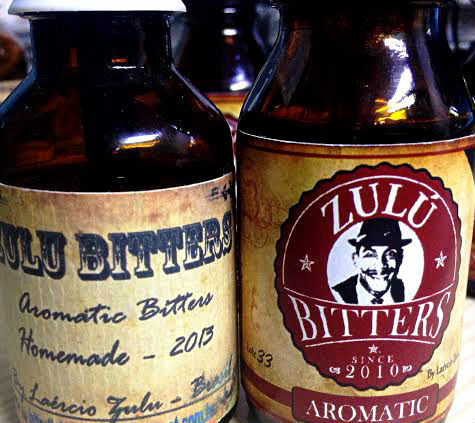 Two years ago was the first time I tried the Zulu aromatic bitters made by Laèrcio Zulu, bartender and mixologist from Brazil. I was always so fascinated by all the things he did, especially with all the fruits, roots, tinctures etc he did experiment with, and he did experiment a lot! Brazil is a country that really has an abundance of interesting fruits, roots and herbs, a lot I have never even heard about much less tried. Zulu worked in São Paulo as a bartender for six years and one of the bars where he worked at was the Noh Bar, developing their cocktails and learnt to use such techniques as carbonization, aging and smoking. He also won the best bartender in Brazil in 2014 in the Diageo World Class, at the time working at La Maison Est Tombée. 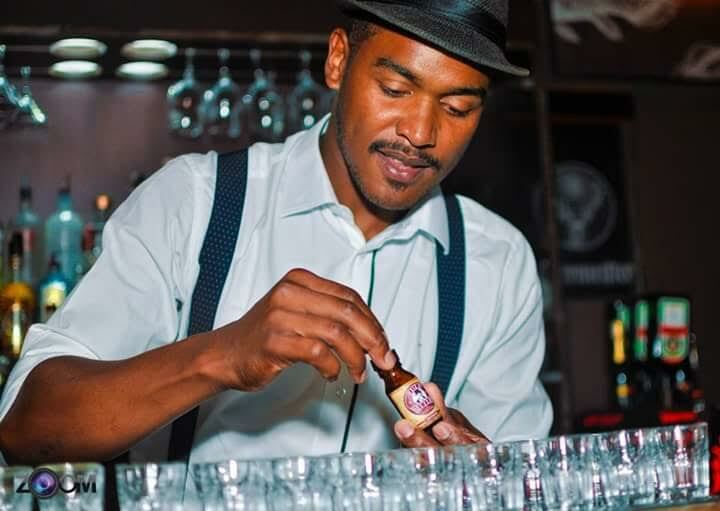 He is now working with cocktail consultation through his brand Custom Cocktails – Bar Marketing, throughout Brazil and also making his bitters – Zulu Bitters. Zulu is a master in making amazing cocktails, very often with his own exotic house made ingredients. The bitters I tried back then, this was 2013, was his first aromatic bitters and which have developed unto what I now have in hand along with a 5 year commemorative bitters, a barrel aged and an orange bitters. A lot have happened since then! 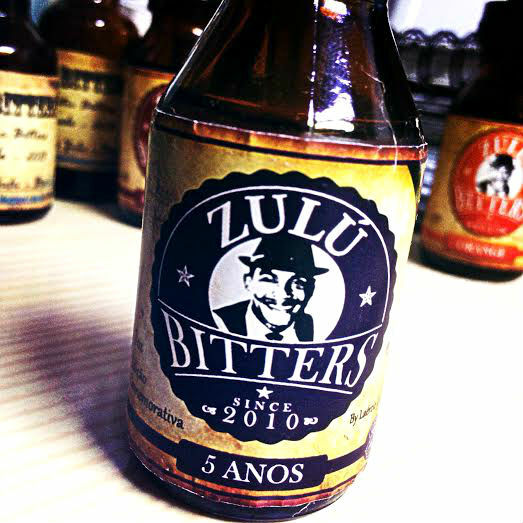 The first Brazilian bitter brand with Brazilian heart and soul took it`s first steps in September 2010, that`s when the Zulu Bitter brand was born and developed along with the career of its creator; Zulu Bartender. So, lets talk about this guy and his amazing journey. 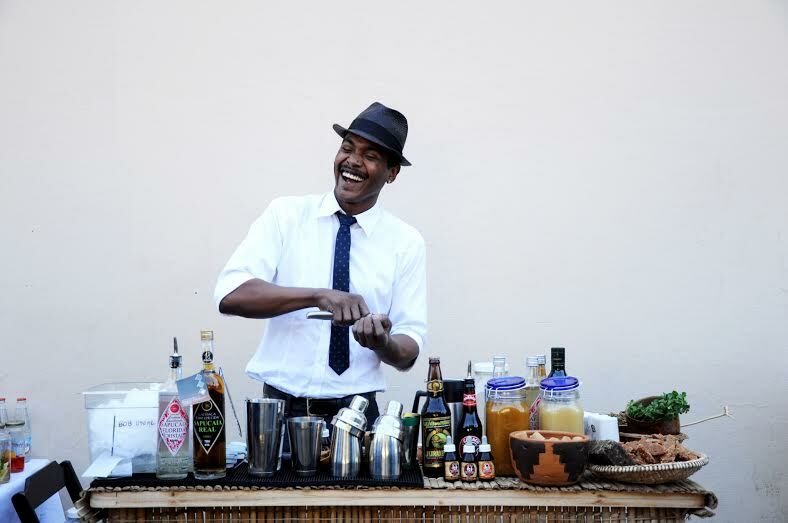 Laércio Zulu, mixologist, was born in the state of Bahia (Brazil) and has been living in Sao Paulo now for 6 years. His work thrives on the values and appreciation for Brazilian ingredients, a reflection of his constant trips inside Brazil’s vast territory seeking for new flavors and sensations. This gives Zulu great knowledge about some ingredients that are unusual for the general public, but very common for the regular man in a small towns around his country. Thinking about #valoresnacionais (national values), Zulu chases not only unusual ingredients, but also different ways to produce his cocktails, from using ants from the Amazon rainforest to shake cocktails in capoeira rhythm. Every detail designed to give classic cocktails a Brazilian twist. This crazy guy got out of his small town in Bahia to be a bartender in Sao Paulo in 2009, taking American-style bartenders classes in schools like Bertones Bartenders and Flair Brazil, both already extinct, and started working in that same year. From this point on, he got more and more passionate for mixology and immersed himself on self-learning and reading about it in every book or piece of information he could put his hand on. In the next year, things started getting bitter (LOL). Before even begin his research of national ingredients, he felt the need to understand more about the history of mixology, how it was developed and how to produce ingredients from scratch. He dived into classic mixology books, such as Gary Regan’s “The Joy of Mixology”, Tony Abou-Ganim’s “The Modern Mixology; David Wondrich’s “Imbibe”, Dale Degroff’s “The Essential Cocktails” and, more important, the very first cocktails guide: Jerry Thomas’ “The Bartender’s Guide” 1862. All these readings helped Zulu to make sense not only how the consumer behavior changed through the years and how each region had its characteristics for consumption of mixed drinks. Most of all, he made sense of the real value of mixology and became fascinated with evolution of the techniques and how the mixed drinks took a very interesting place in society. That’s when the so acclaimed seasoning (Bitters) steps in. During the beggining of mixology, to talk about “bitters” was to talk about a “bartender’s secret”. It was the “special touch” for cocktails, responsible for bartender’s authenticity and personality in each cocktail. 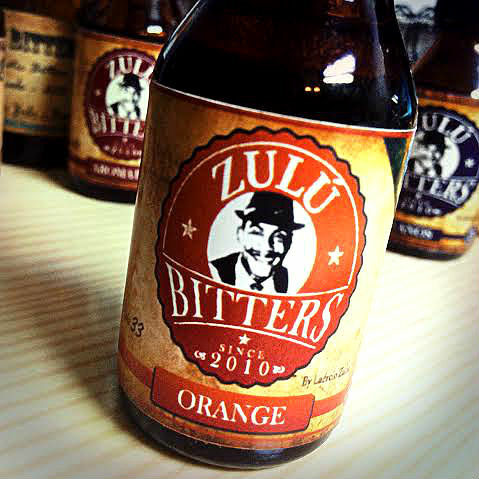 This concept sounded very well with Zulu and the idea of creating and producing his own bitters was born. For the technical side of production, I started producing a series of known recipes to understand how the infusions of different ingredients worked. These recipes are still very famous, like Jerry Thomas Own Decanter Bitters, Boker’s Bitters and Gaz Regan Orange Bitters. I did this for innumerous times to get sense of the balance of the ingredients. For each sample of the first batches (back in 2011), I always shared with professional bartenders who had my respect and admiration like Marcio Silva, Marcelo Vasconcelos, Marcelo Serrano, James Guimarães and Talita Simões to have an orientation, mostly because, until then, I had not tried many different bitter’s brands. The positive feedbacks were a great motivation. After that, I started to buy several bitters online, because, in Brazil, Angostura Bitters was the only brand you could find. So, everytime I could find a different one I restlessly tried it and ran to my kitchen to produce new recipes for my bitters. By 2012, I gave up on any imported ingredients, focusing just on local ingredients. 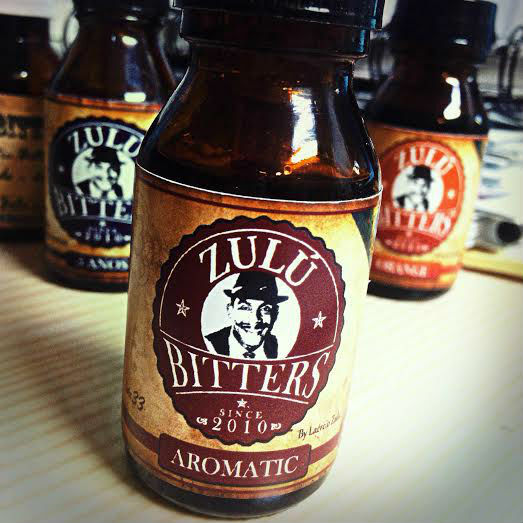 During my experiences, I divided three groups of ingredients to get the recipe I believed to be the face of Brazilian spice: As I tried commercial bitters with amazing textures, I added Brazil Nuts to the body of ingredients of Zulu Bitters. That gives the viscosity and shine I wanted in the mixture. “I used Amazon ants in a cocktail during a presentation at the World Class 2014 Finals, in London. 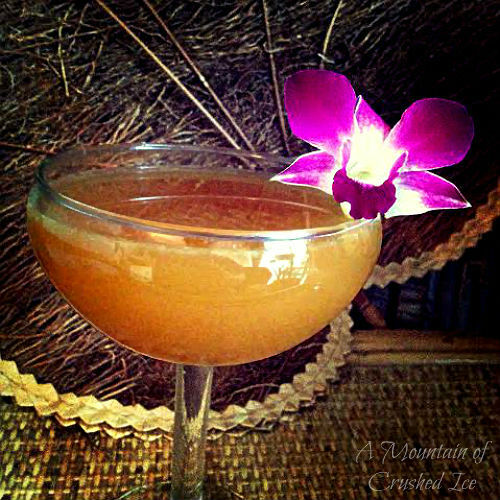 My intention was to combine the citric touch of the ants with my recipe of Gold Label Reserve Whisky, umbu reduction (Umbu is tropical fruit from Bahia) Abatetuda molass (an Amazonic island) and Zulu Aromatic Bitters. Very much what the name says – aromatic! there´s a lot of roots flavors and what I´d call “dark spices” but the color is light brown, it´s earhty, aromatic and at the same time brilliant and lively. It has notes of roast cocoa, dark chocolate, vanilla, coffee, cinnamon, banana and dried spices. A little bit bitter yes but not too much and well balanced, I don`t feel any specific spice taking over. Woody and spicy, but definetily woody, well, “barrel aged” right? but there could be other woods and roots in it as well, interesting flavor and very aromatic, very nice bitters. It has some kinda coffee and raw cocoa notes too, at least to me. The color is light brown. Brilliant! with a tingling on the tongue! very strong flavor of not only orange peel but theres a lot going on in this little bottle. Mainly composed of Bahia orange peel, guarana seeds, cumin and balsam bark but there´s more than that. The color is dark orange bordering to brown, and there´s hints of wood and roots. It´s very tasty bitters. Perfect for lighter cocktails and would be great in some desserts as well and with grilled seafood. These bitters aromatics are intense! Here´s astringency and very herbal flavor, my guess is that there´s some mimosa or chamomille in it. These bitters are aromatic and spicy and very very herbal, also the color, it´s light greenish-yellow. I also have to mention his first aromatic bitters, they have a totally different flavor than the aromatics of today, it´s a different kind of woody flavor in them and they are still tasty after 2 years. 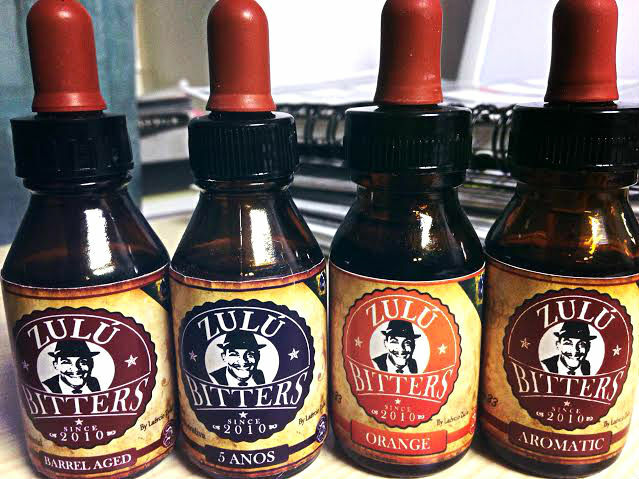 I must say that these bitters are all amazing and some of the best i`ve tried so far! he sure knows what he is doing. 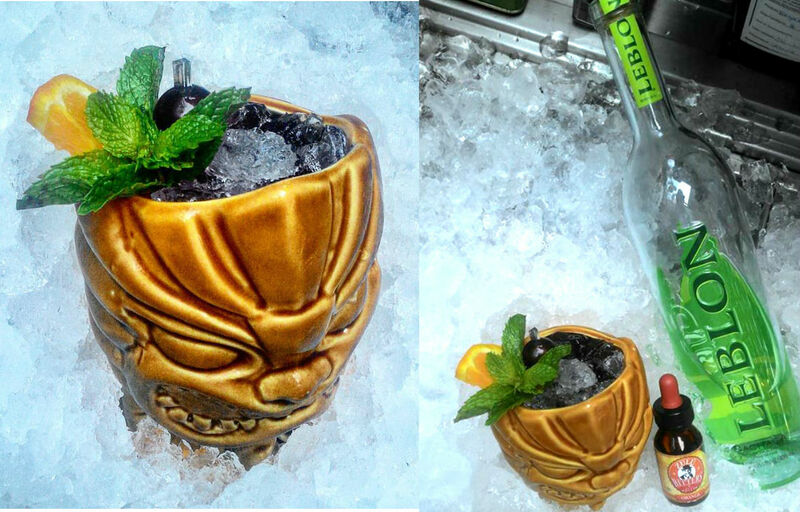 Shaken together and served in a tiki mug with crushed ice. I haven`t tried it yet, because I don`t have the Brazil nut cordial or catuaba beverage, which is a drink made from extracts of a plant found in the Amazon forest which also is an aphrodisiac and a famous one too, and it`s sold in bark form, as tea or beverage. And how do you make a Brazil nut cordial? 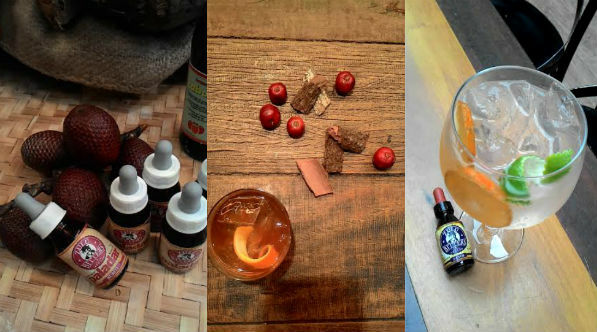 (here´s for going out and google again… :-)) but the recipe can also be seen as inspiration for using these bitters and the bark can maybe be substituted with something else or be omitted if you cannot find it. Brazil nut cordial can maybe be switched for a homemade Brazil nut orgeat instead? it would totally change the flavor but it´s easy to make and Brazil nuts are usually available and I believe it would still be a good drink. Just don´t forget to change the ratios too! I`d maybe do 2 oz of cachaca, 0.5 oz Brazil nut orgeat, 0.5 oz lime juice, 2 dash Zulu orange bitters and instead of the catuaba bark tincture, 2 dashes of the barrel aged bitters. So where can people get these bitters from? because they cannot also be substituted… and frankly I have never tried any other bitters that are anywhere close to the flavors of these and naturally so since these contains local Brazilian ingredients. inquiries: zuluheadbartender@gmail.com and here is his Facebook page. Shake with ice, strain into a chilled cocktail coupe. Turns out rich and flavorful. 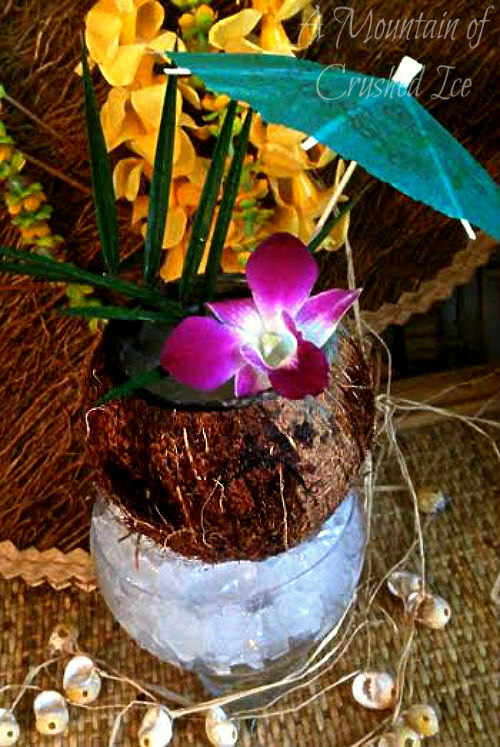 This is a classic Coconaut with the addition of Zulu Aromatic Bitters. The old and the new aromatic bitters. 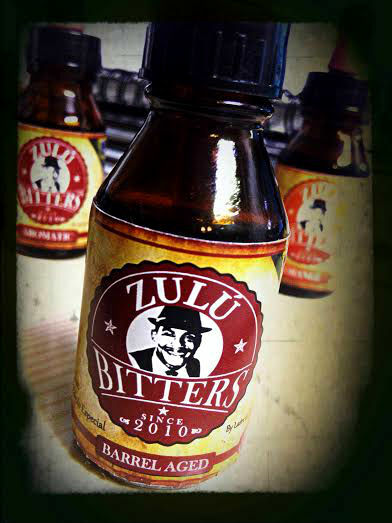 where can you buy the Zulu bitters??? And where can one see the ingredients? THANK YOU! Nice job! !